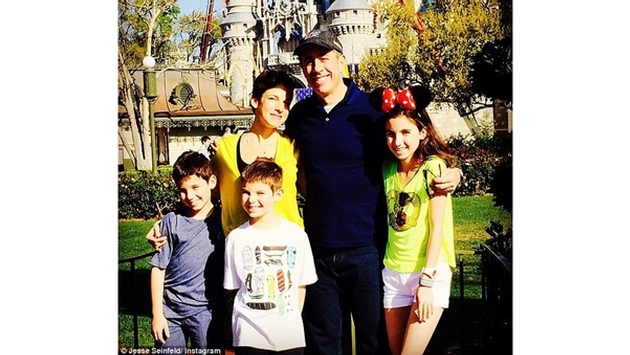 Jerry Seinfeld took a much-needed break from his stand-up comedy tour by taking his wife Jessica and their three children — daughter Sascha, 13, and sons Julian, 11, and Shepherd, 8 — to Walt Disney World in Florida on March 16! 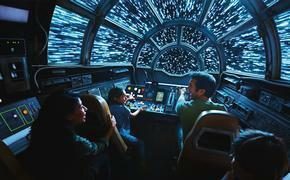 The actor's wife captioned a family Instagram photo, "The Griswolds Take Epcot," referencing the classic 1983 film "National Lampoon's Vacation" with Chevy Chase. The Seinfelds posed in front of Tutto Italia in Disney World's Epcot Center. Jessica captioned that photo, "We made it to Italy!!!" And finally, the family posed in front of Fantasyland's magic castle, where Jerry and Jessica's sons are seen smiling from ear to ear. Their daughter, who also looks very happy, wore a cute pair of Minnie Mouse ears in the photo. They also enjoyed an "incredible" fireworks show -- at Epcot -- later that evening. On Friday evening, March 14, Jerry performed his stand-up comedy act in South Carolina. He doesn't have another scheduled gig until March 21 in Las Vegas, so he's clearly taking advantage of his time off by spending it with his family. Jerry's tour ends April 25. Have you visited Disney World yet this year? Tell us about it!